When drinking at Izakaya (informal Japanese style bar) in Japan, sometimes sake is served in this style: server put a glass inside the Masu or sake saucer and pour until sake overflows form the glass. The most familiar drinking style in sake country Akita is that sipping a bit of sake with kissing the brim. 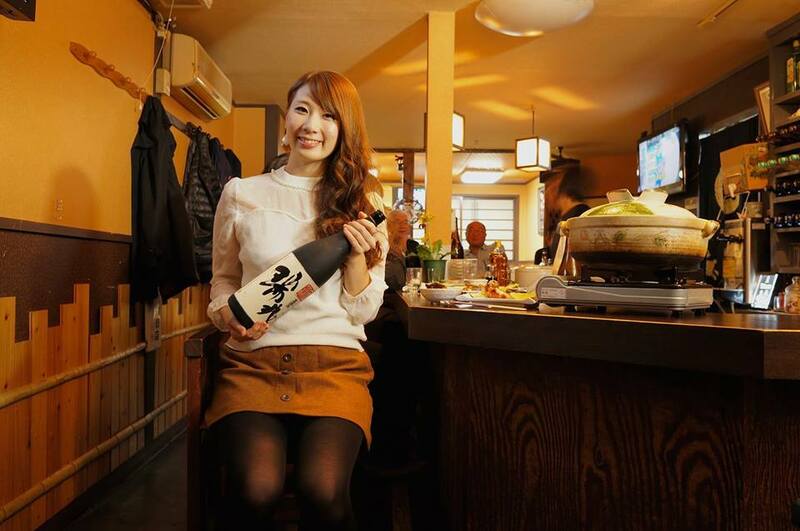 In order to spread this drinking style throughout the world, we will continuously introduce the attractive “Mokkiri face” of beautiful Akita’s ladies to you. This Mokkiri beauty is Ms. Ayuko Oba who is working at the nursery school and very popular among children! If you like to drink cocktail, why don’t you try our dessert jungin? Maybe it will suit your palate!